After almost two decades of strict censorship under the authoritarian Park Chung-hee regime, Korean cinema began producing heavily political movies following the country’s democratization in the 1980s. While some saw film as a device of pure artistic expression, a large chunk of filmmakers viewed the medium as “the most powerful political and social weapon,” according to “Korean Cinema after Liberation,” a study by Hallym University’s professor Park Seung-hyun. Countless films have since satirized government corruption and the collusion of politics and businesses. In recent years, however, filmmakers seem even more intent in doing so. The latest political movie “Master” follows in the steps of last year’s “Veteran” and “Inside Men” and this year’s “Asura: The City of Madness” and “Pandora.” These movies share common themes -- forces of unreasoning, unrepentant corruption that sway the country -- and conclude (save for “Asura”) with an exhilarating delivery of justice. However, “Master,” drawing from Korea’s web of politics, businesses and cult-like groups, feels even more eerily prescient than its predecessors: It is being released just as the country is hurled into the thick of a political maelstrom involving President Park Geun-hye, the daughter of a cult leader and top Korean conglomerates. 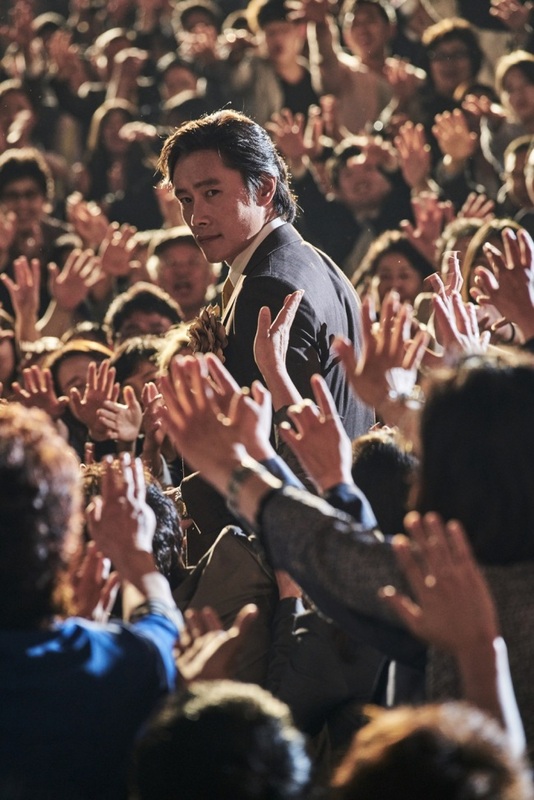 In the film, Chairman Jin, played by the ever-skilled Lee Byung-hun, is the psychotic head of a financial organization that gathers astronomical investments from lower middle-class clients. At massive investor rallies, which resemble cult gatherings, the silver-tongued Jin riles up audiences with the promise of hefty returns. “We’re a family,” he says, as people cheer fanatically. Jin, of course, has handsomely bribed high level government officials to peddle influence. With a phone call, Jin is able to thwart all systems and institutions. The country is, quite literally, at his fingertips. At his tail is investigator Kim Jae-myung (Gang Dong-won), who is driven by an all-consuming thirst to catch the bad guys. Kim himself is an elite policeman who has passed the bar exam and works directly under the police commissioner. 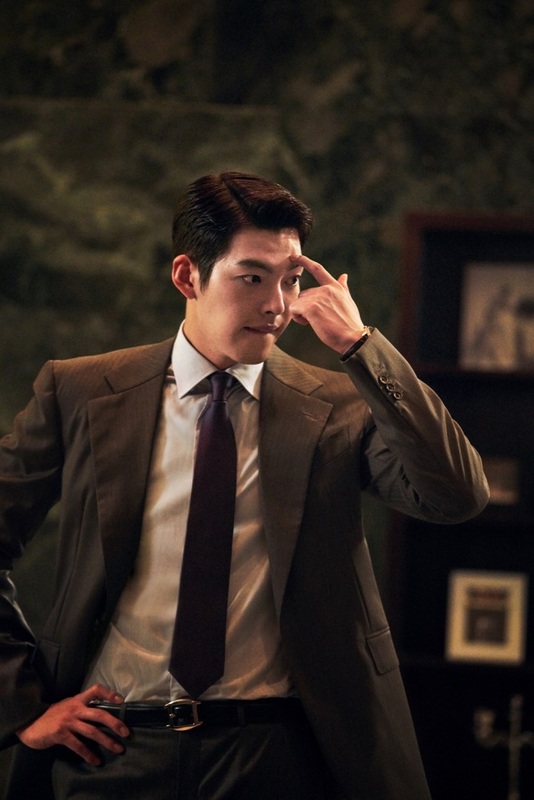 Kim finds a way to infiltrate Jin’s empire through Park Jang-gun (Kim Woo-bin), the brain of Jin’s corporation and a genius hacker who manipulates computer systems to generate profits. “Through this case, I’m going to cut off the rotten head (of this country),” vows investigator Kim, as he strikes a deal with Park, caught between two giant powers, to spy on Jin. But the chairman is a master at destroying evidence and getting charges dropped. “Even if he’s caught by the police, the prosecutor will draw out the process, and he’ll be released in court,” a fellow investigator says. When the heat turns up, Jin stows away to China and fakes his own death. Investigator Kim is demoted for exerting unduly aggressive force in his investigations. Meanwhile, Jin has comfortably settled in the Philippines, devising a new plan to launder money. Kim is forced to veer from the established police system and go after Jin on his own. Though the setup hits close to home, the notion of justice and the fundamental problems of Korean society are not dealt with too seriously. The motive for the protagonist’s dogged pursuit of the villain is not detailed. Jin, meanwhile, is a more believable and, unfortunately, familiar criminal, who will go to any lengths to protect his wealth. All in all, the film is a slick, entertaining flick. Its characters have style, and their schemes are elaborate. “Master,” directed by Jo Eui-seok, opens in theaters on Dec. 21.